ASHEVILLE, N.C. (October 16, 2017) – The Centers for Medicare & Medicaid Services (CMS) released its 2016 Quality and Financial Performance Results, showing that Medicare Accountable Care Organizations (ACOs) continue to improve the quality of healthcare for Medicare beneficiaries while also decreasing costs for consumers and taxpayers. 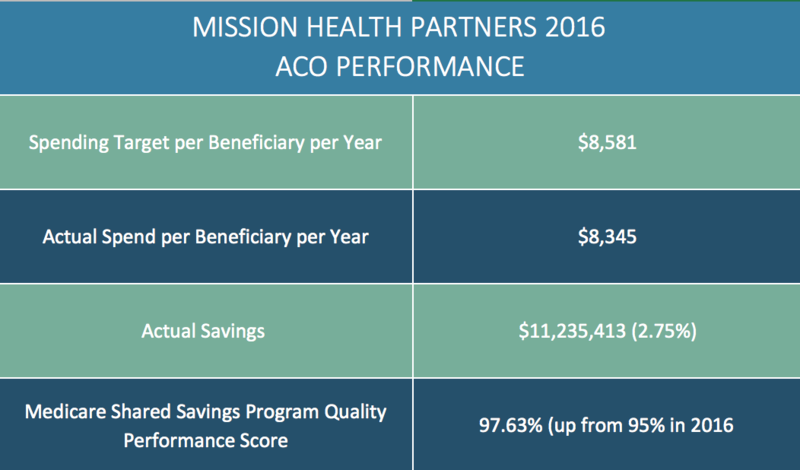 Of note, the data also show that our local ACO – Mission Health Partners (MHP) – performed among the very best in the nation, achieving a Quality Score of over 97% and saving Medicare over $11 million beyond its target, despite having one of the lowest spending benchmarks in the nation. Across the country, there are 480 Shared Savings Program Accountable Care Organizations serving nine million Medicare beneficiaries. ACOs allow doctors, hospitals, and other healthcare providers to better coordinate care for Medicare patients. Participation in an ACO creates incentives for healthcare providers to work together to treat an individual patient across all care settings—including doctor’s offices, hospitals, and long-term care facilities. 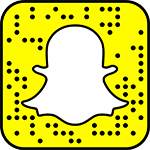 To achieve a gain share payment, an ACO must first beat its individual spending target. If it does so by a sufficient amount, it is entitled to a gain share payment, but only if it also achieves defined quality targets. Quality is assessed based upon thirty-four individual measures of quality performance spanning four quality domains: Patient Experience of Care, Care Coordination/Patient Safety, Preventive Health, and At-Risk Population. Mission Health Partners (MHP), a Clinically Integrated Network and Medicare ACO that currently serves approximately 90,000 patients, includes nearly 1,100 physicians spanning the 18 counties of western North Carolina who are committed to building a network focused on improving the health of our population. In addition to achieving cost savings, MHP takes a unique care coordination approach by taking into account the social and environmental factors that influence a patient’s health outcomes. By also connecting its patients with resources and community partners like MANNA food bank and Pisgah Legal Services, MHP helps its patients meet their most critical basic needs, clearing the pathway for them to focus on their health. It’s an approach the MHP hopes to develop as a model for use across the country.